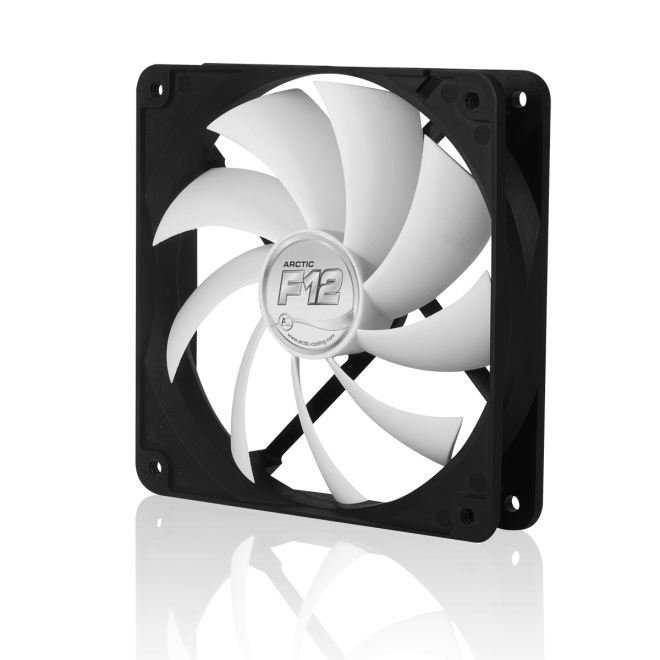 The ARCTIC F Series fans are equipped with nine blades, increasing the airflow by 20% compared to generic seven-blade fans. The ARCTIC F Series have a standard frame, making it possible to install the fans either intaking or outtaking air in the PC case. The standard three-pin connector can easily be connected directly to mainboards. Click the button below to add the Arctic Cooling High Performance 120mm White Case Fan (1350RPM) to your wish list.